Additional Scenarios for SPI Games! 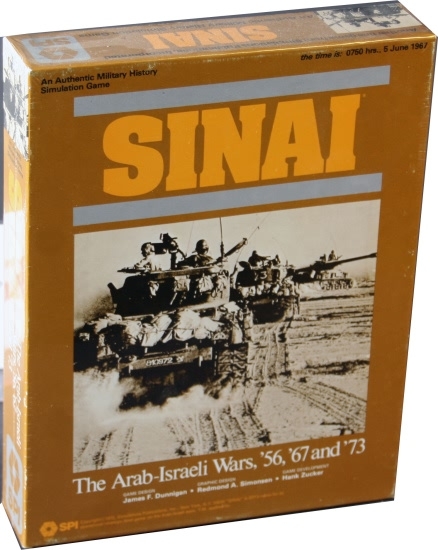 Below is a list of SPI games that had scenarios added AFTER the game was printed - generally, in Moves magazine. 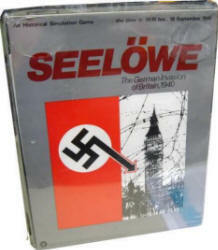 Decision Games now offers these classic copies of Moves as a free download on their web - many thanks to them for making these classic articles and scenarios available again. 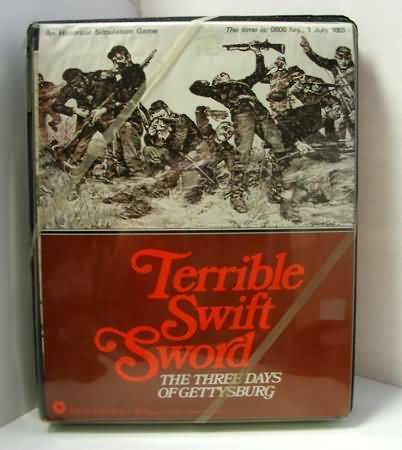 The difficulty, of course, is the limited reach of Moves, which had only a fifth of the subscriptions that S&T enjoyed. 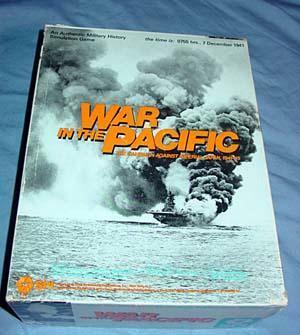 The British SimPubs magazine the Phoenix had far less reach, but is also a treasure trove of scenarios for older SPI games. 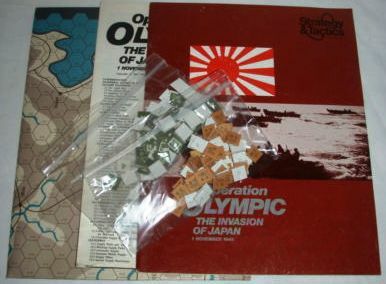 I have pulled these scenarios together here so other SPI gamers might find a new scenario to play with a treasured old favorite! 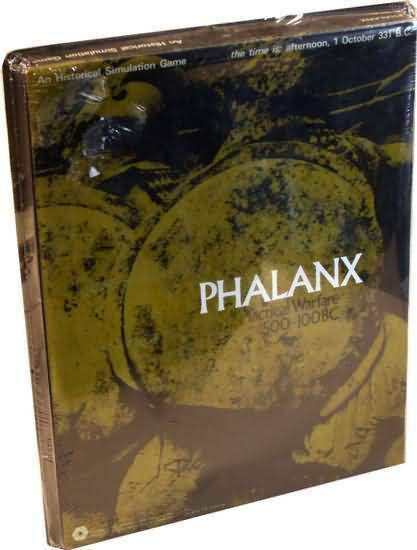 I am providing you with this index, with the page number here, and I have preserved the names of the authors of these original scenarios, and fully acknowledge that the credit is all theirs. I am simply trying to bring these scenarios back into use, to provide a new method of enjoyment for favorite old games! Scenarios on this page: Over 175! Air War The incomparable J.D. 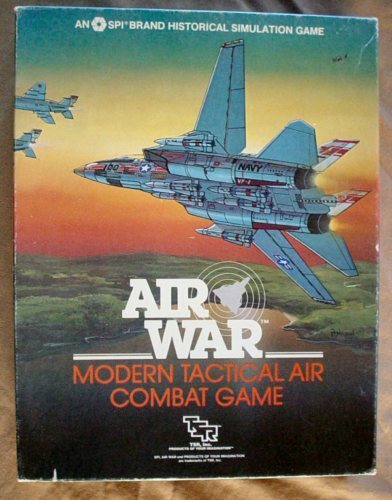 Webster provides two Viet Nam era scenarios for Air War! 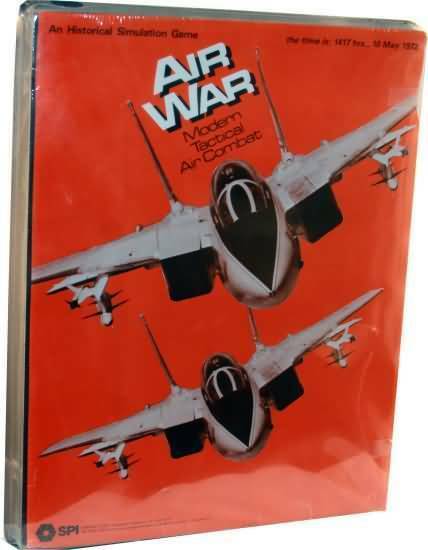 Air War M.G. 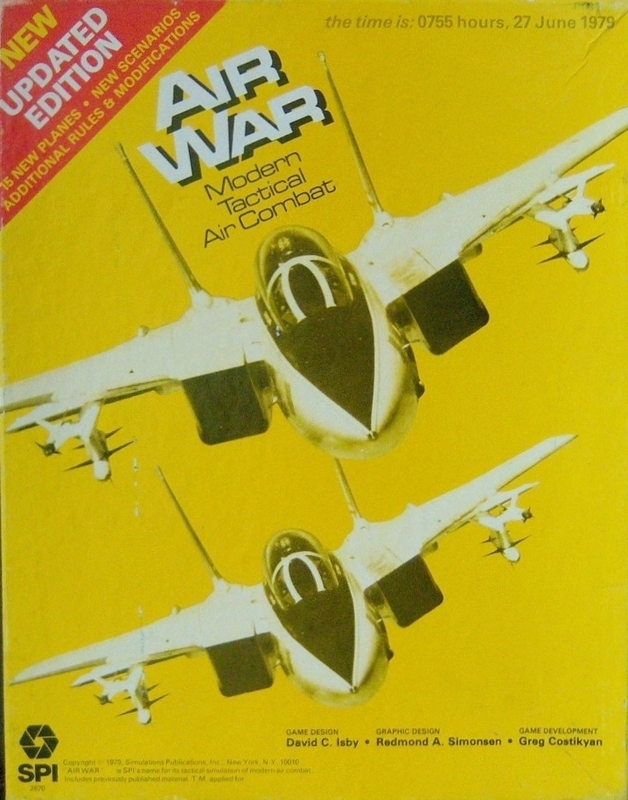 Stoner weighs in with "A New Type of Scenario for AirWar '80!" 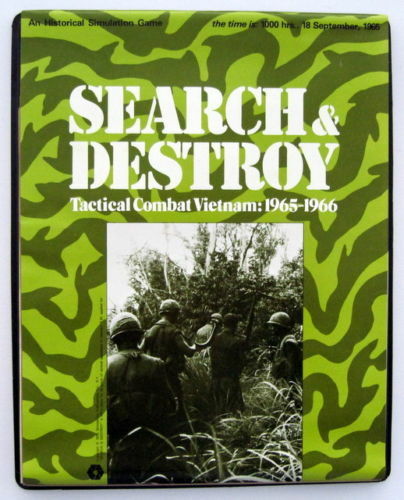 The mission is search and destroy, and is from Phoenix 27. 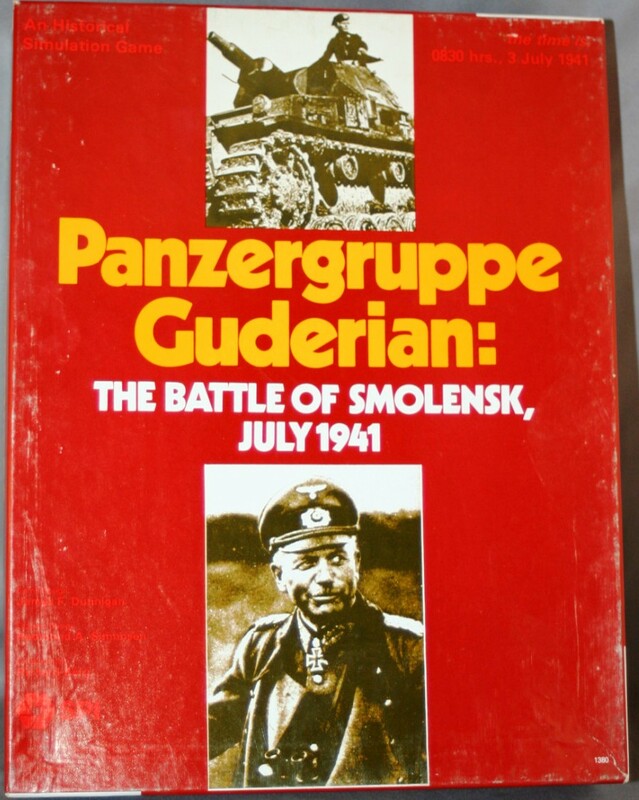 Battle for Germany James Meldrum offers two alternate scenarios for Battle for Germany. The first considers what would have happened had the Allies pursued a separate peace with Germany; The second offers readers a chance to explore what could have happened had the Cold War turned hot instead in 1948. Battlefield, issue 7, page 29. 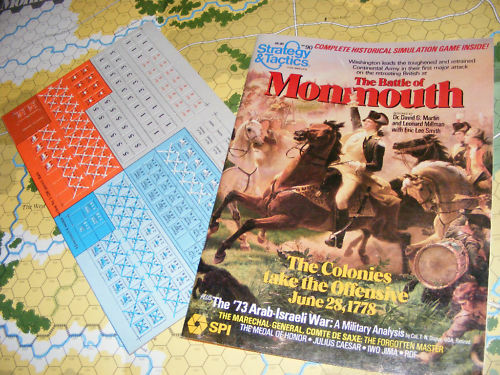 Battle of Monmouth Two new scenarios for Battle of Monmouth by the original designers! Molly Pitcher, a six turn introductory scenario, and Washington's Recovery, a 16 turn advanced scenario. Strategy & Tactics Special Edition 1, Page 60. CA Reworked scenario forces for the historical scenarios in CA. By David Thornberg, as published in Moves 15. 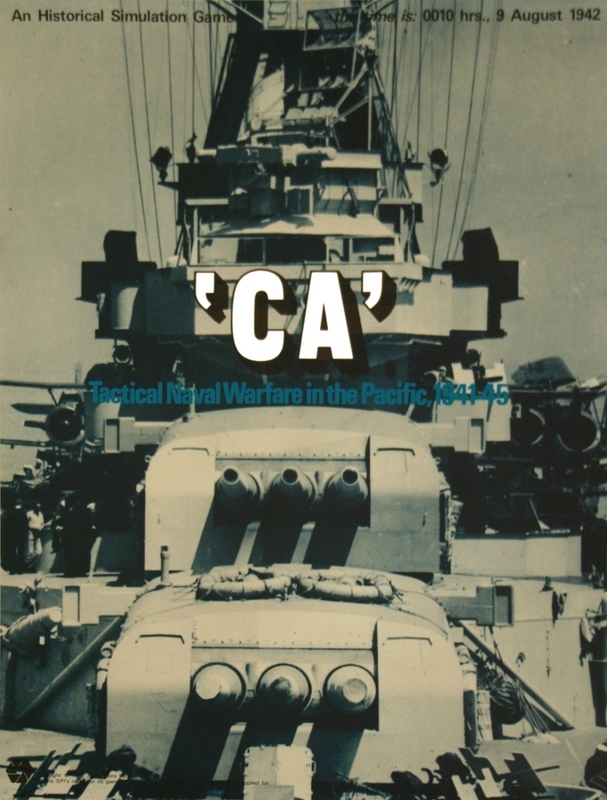 CA Adds CA Scenario 11: Kula Gulf 7/6/43, which is 20 turns, and Scenario 12: DD Action Off Horaniu 8/18/43, which is 15 turns. These are on page 6, from Moves 11, and are by Jerrold Thomas. 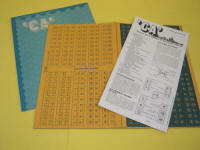 The article includes a number of rules updates for the other game scenarios. 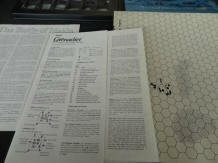 And within the same PDF are two additional articles with variants and some errata. 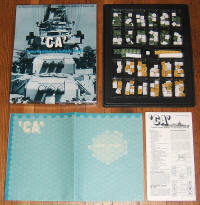 CA The two scenarios from the Refitting CA by Karl Wiegers and David Bieksza are listed here - from Moves 30, page 7. 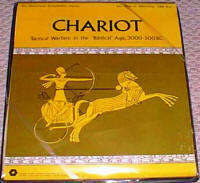 Chariot A quick added scenario for PRESTAGS' Chariot game, for "Cunaxa: The March fo the Ten Thousand, 401 B.C." The scenario simulates the famous battle between Darius's sons, Cyrus and Artaxerxes. Designed by John Lee from Phoenix 18, page 11. 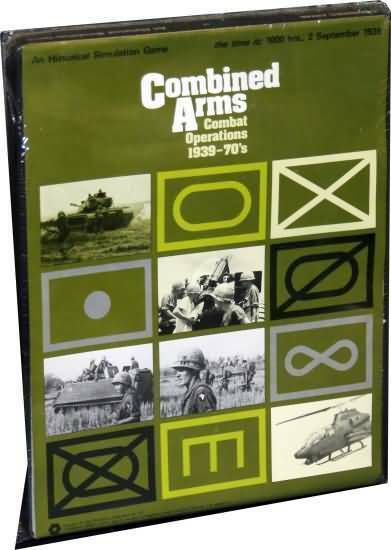 Combined Arms An additional five official scenarios for Combined Arms by Kip Allen, from Moves 18. 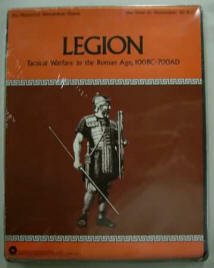 BUT - click HERE for the ERRATA corrections to these scenarios! 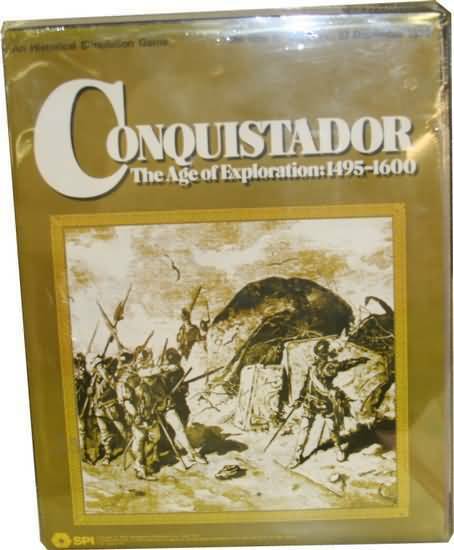 Conquistador "Spanish Gold - A MAJOR New Scenario for Conquistador!" A scenario short enough for a single sitting. Kudos to David R. Grant for this scenario from Moves 34. 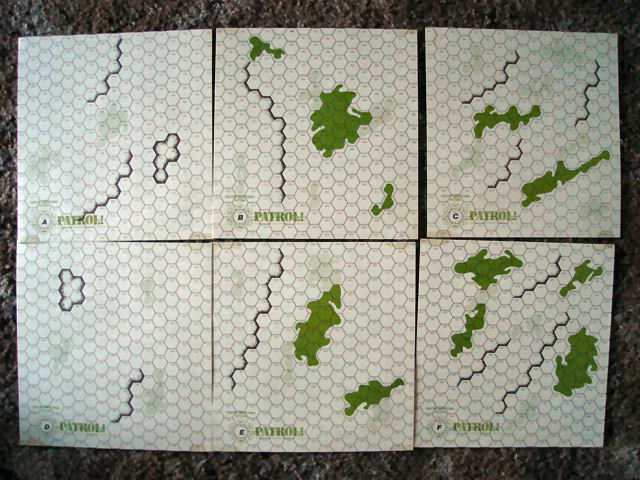 The Creatures that Ate New York From SPI's hard to find 'Adventure Gaming' handout of 1981! Pick a monster, and duke it out for the blonde! Be careful - SPI's offices could become collateral damage! Created by Justin Leites & Redmond Simonsen. 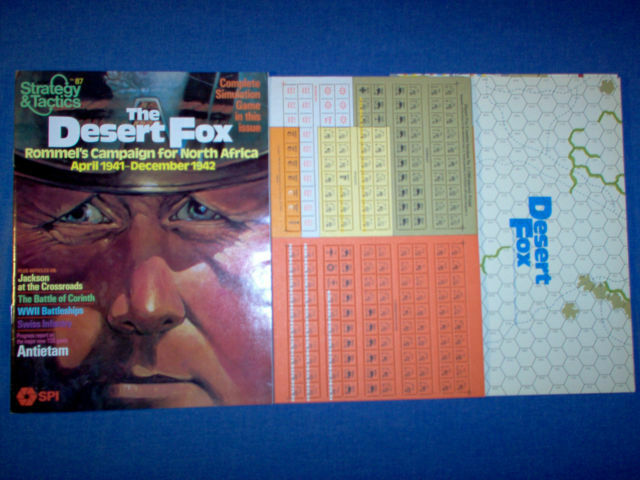 Desert Fox Fox Killed! A Prequel scenario with added rules and forces! 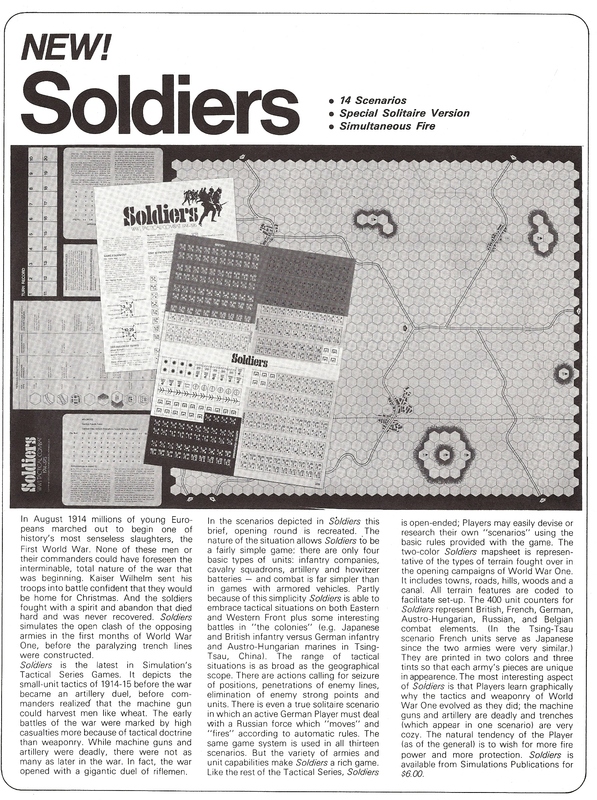 From Strategy and Tactics Special Edition #1, page 52, by Steven Copley. 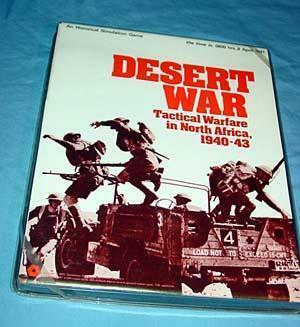 Desert War A treasure trove of 16 scenarios for Kampfpanzer and 8 more for Desert War! Brought to you by David Isby, Charles Sharp, Jerrold Thomas and John Fernandes! Impressive! 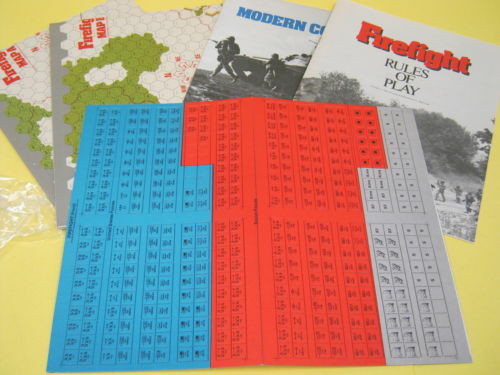 The article also offers added rules, units and suggestions! This is from Moves 14. 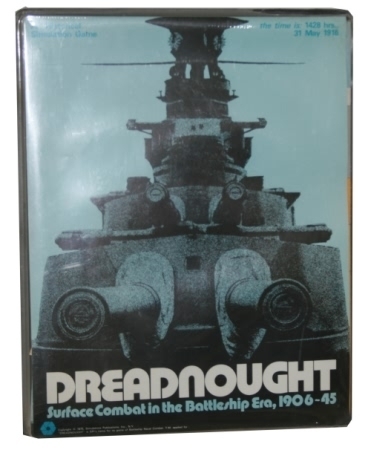 Dreadnought Dreadnought comes to the Med in this great set of scenarios by George Lyon. Moves 30, page 24. Dreadnought Dreadnought returns the Med in this nice article and set of scenarios by Edward Heinsman. Moves 33, page 24. 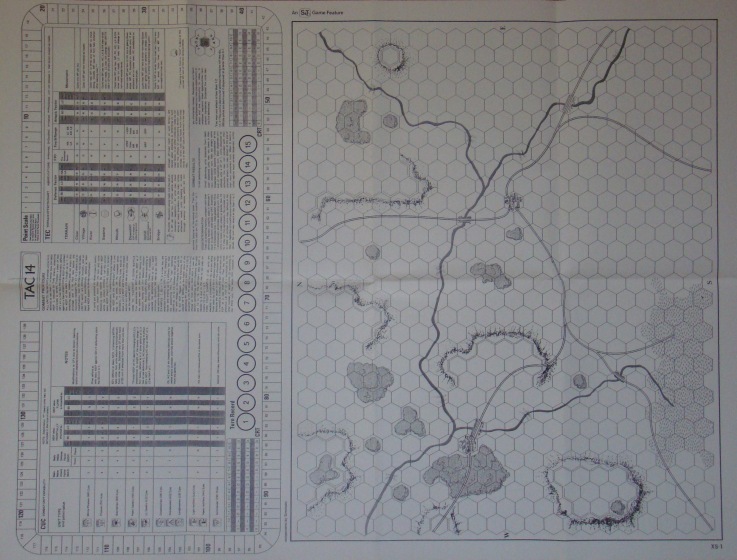 Dreadnought More Dreadnought scenarios - this time from the pages of the Phoenix, issue 23, from the pen of Graham Wheatley. He includes three 'what-if?' situations, AND a campaign game! Dreadnought And now another country heard from! Patrick Polley brings us these 6 hypothetical Dreadnought matchups from 1914-1918! These were designed as part of his history classes on the 100th anniversary of the Great War! Enjoy! 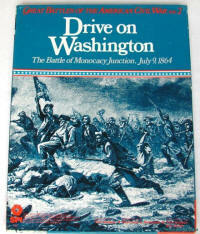 Drive on Washington In the Drive on Washington article from Moves 50 by Gary Gillette and Alexis Turkalo there is a 'what if?' 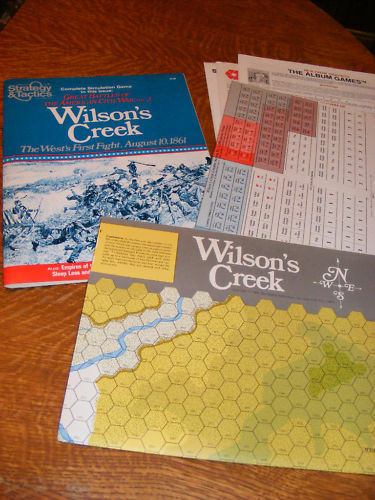 scenario that adds Breckinridge's division to the Confederate OB! 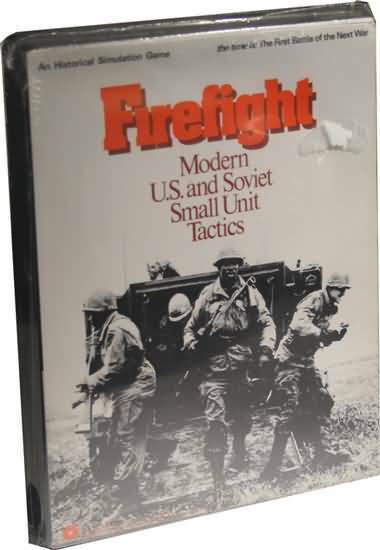 Firefight Seven new scenarios for Firefight, by future pros Mark Herman and Tony Merridy. From Moves 31, page 25. Scenario 2: Direct Support is only 6 155mm (not 12). Scenario 5: Direct Support is only 6 155mm, (not 2). Firefight Two more Firefight scenarios, this time by Ken and John Kinder. Both are from Moves 34, Footnotes column, page 30. 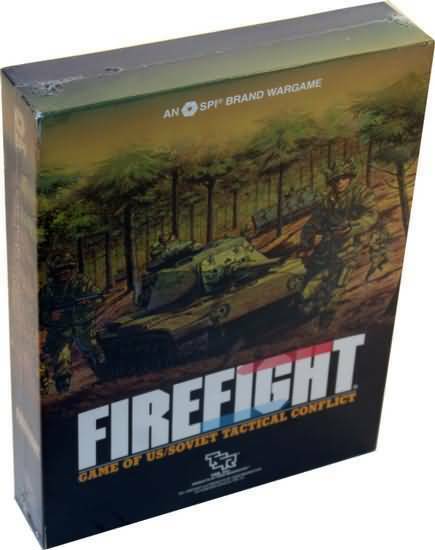 Firefight Robert A. Kunz makes an heroic effort to create solitaire rules for Firefight! 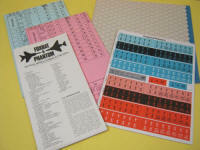 It also comes with three scenarios to use - the US Attack, The Soviet Attack, and the Meeting Engagement! Moves 48. 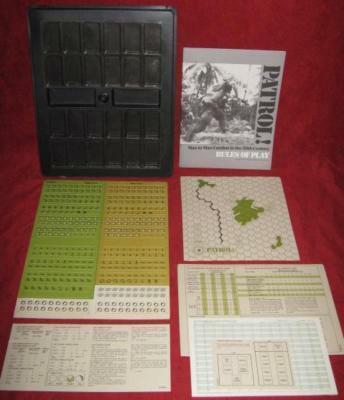 Foxbat & Phantom Military pilot Thomas Ben West gives us two new scenarios for Foxbat & Phantom: Foxbat & Phantom; and River Rats, PDM, Vietnam, 1968. He also adds a rule for zooming, and suggests ceilings for the planes as well. From the Footnotes column in Moves 13. 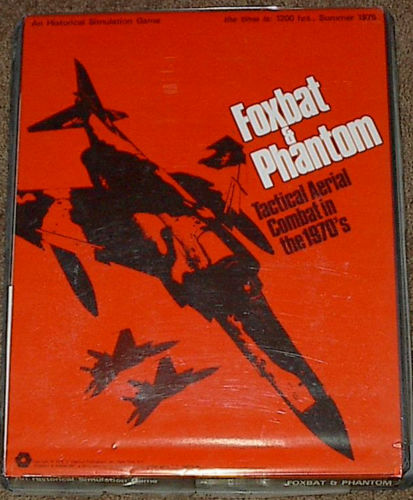 Foxbat & Phantom This packet of 15 scenarios features two for Foxbat & Phantom. From the scenario master Phil Kosnett! Moves 27, page 7. Foxbat & Phantom A solo scenario for Foxbat & Phantom by AJ Gilham! From Phoenix issue 6. 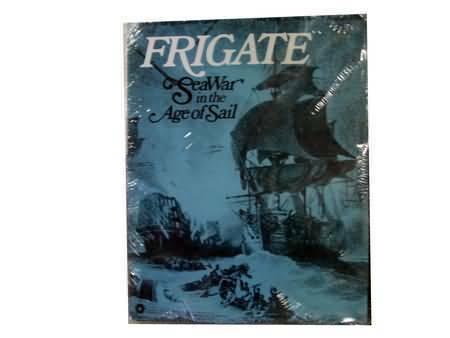 Frigate Four additional scenarios for Frigate, from Moves 17. 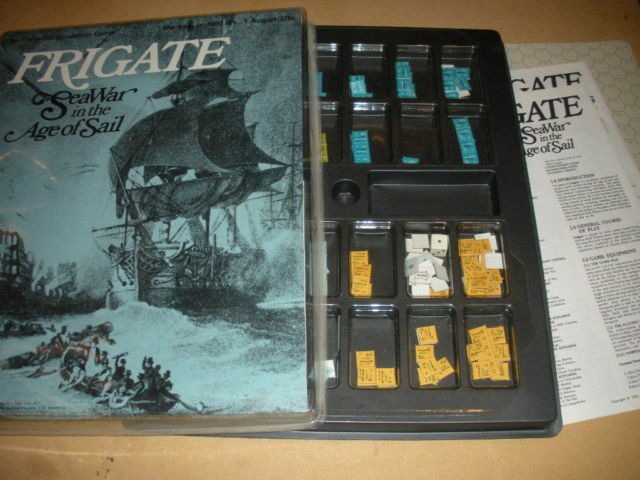 Frigate An added scenario for Frigate by Bill Eldard, in Moves 18. Grenadier A scenario depicting 'The Advance of Pakenham's Division' from the battle of Salamanca in July of 1812. 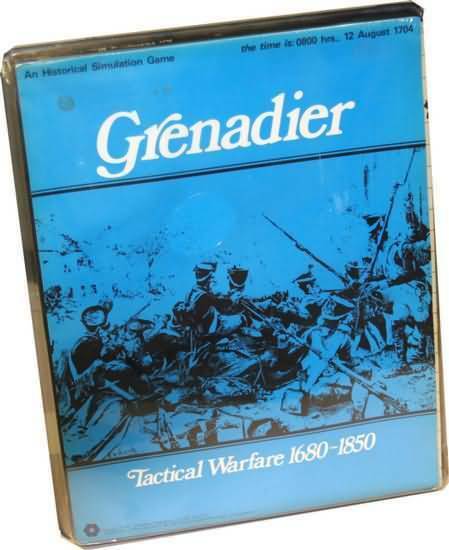 Rob Gibson uses Grenadier to give us the Wellington and Marmont battle. Nicely done! 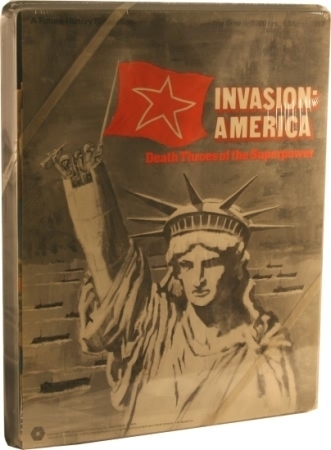 Invasion America A new twist for Invasion America - liberating Central America! From Michael McNierney. In the Footnotes column, Moves 31. 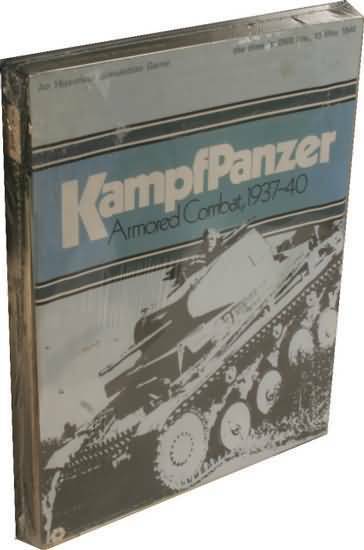 Kampfpanzer A treasure trove of 16 scenarios for Kampfpanzer and 8 for Desert War! 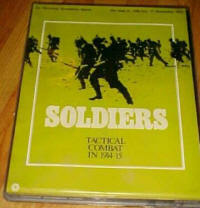 Brought to you by David Isby, Charles Sharp, Jerrold Thomas and John Fernandes! Impressive! This is from Moves 14. La Grande Armee From Phoenix issue 7. To properly simulate the initial French confusion in La Grande Armee, this article by Rob Gibson proposes a different set up for the French. 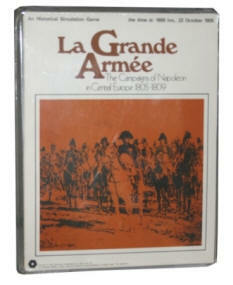 La Grande Armee A fully formed Play By Mail system for La Grande Armee, from the pen of John Duffy! Completely adaptable to PBEM today! From Outposts #7, page 15. 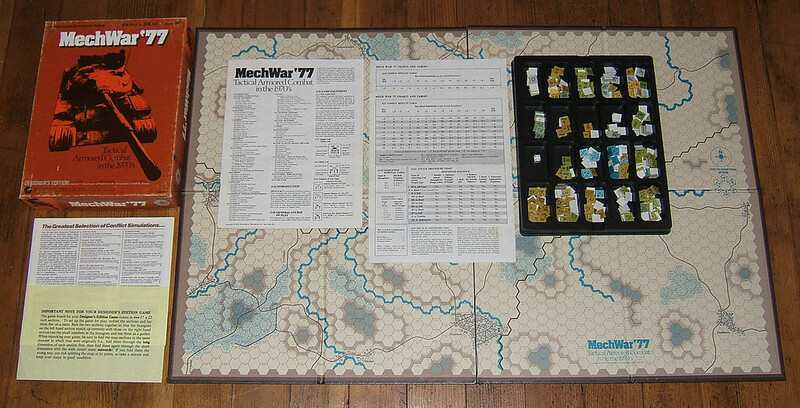 Mech War '77 Phil Kosnett and 7 more scenarios - this time for Mech War '77. Published in Moves 26, page 25. 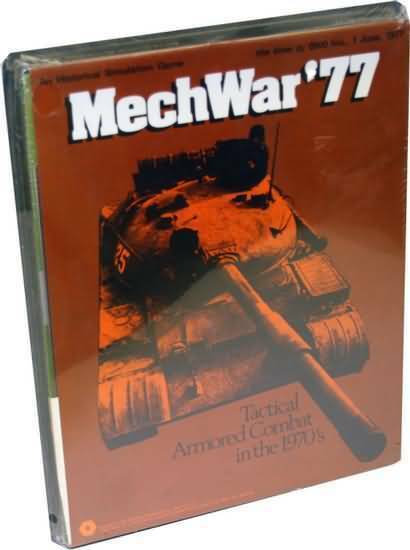 Mech War '77 This packet of 15 scenarios has four different situations for Mech War '77 fans. 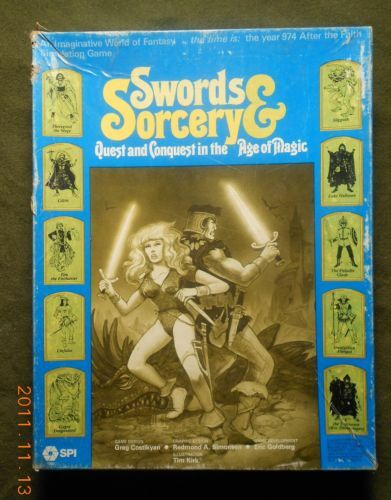 From the scenario master Phil Kosnett! Moves 27, page 7. 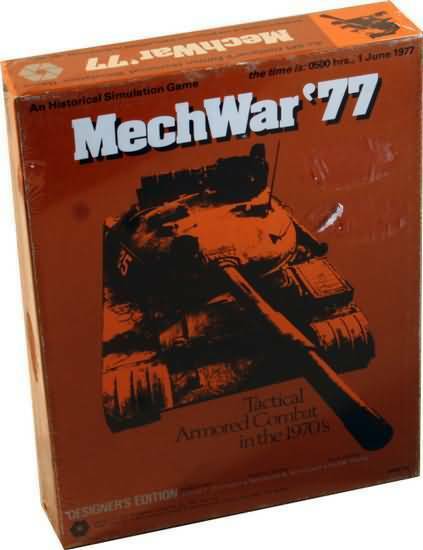 Mech War '77 Two 'new to you' scenarios for Mech War '77 fans! 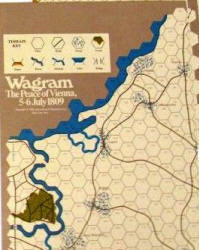 Mark Matuschak creates two fascinating situations from the opening days of a Warsaw Pack invasion! 'The Dam that Almost Burst' and 'Escape from the Pocket' - both from Outposts 7, page 22. 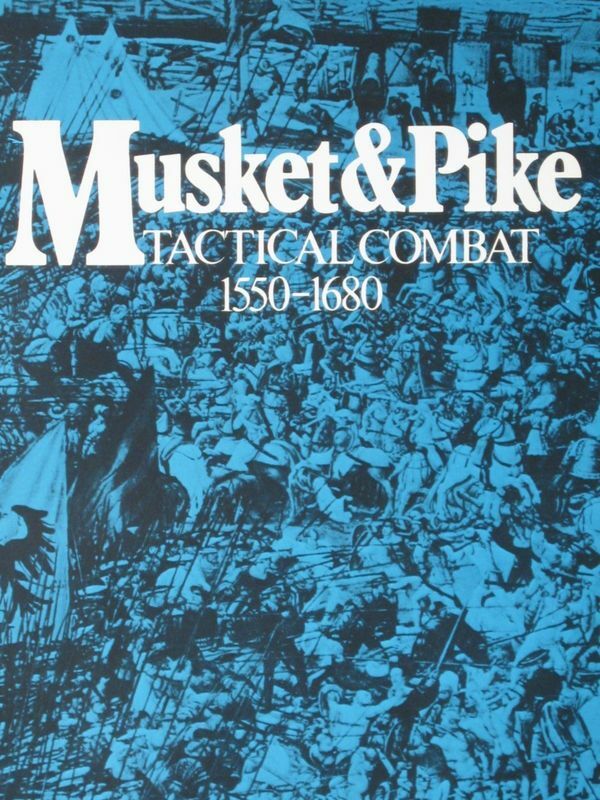 Musket & Pike A strong work that places a point system in place for balancing existing Musket & Pike situations, and creating Design Your Own scenarios. Some DYO scenario point setups are near the end of the article. Lots of good things in this article by Arnold J. Hendrick, in Moves 16, page 4. Musket & Pike Mr. Duffield contributes this new scenario for Musket & Pike called the BATTLE OF STRATTON, 16 May, 1634. From Footnotes, Moves 18. 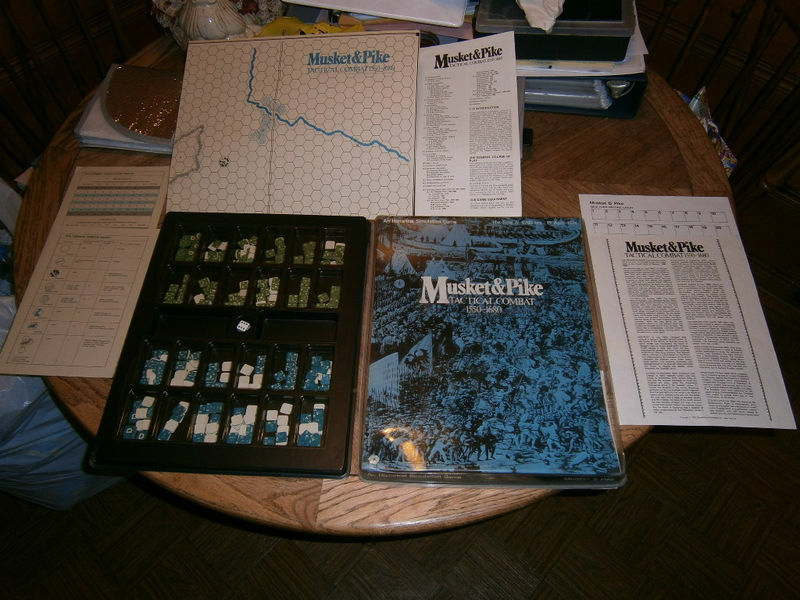 Musket & Pike Some modifications to add more realism for Musket & Pike, plus an added scenario of Edgehill with Royalists vs. Parliament in 1642! By S. Widdows, Phoenix, Issue 1. Musket & Pike A 10 turn scenario from John Lee covering one of the first campaigns in the British civil war, which unfolded near Winceby. On October 11, 1643, Royalists send 2500 men to relieve Bolingbroke Castle. They are met by a detachment of cavalry and foot soldiers led by Cromwell. From Phoenix issue 12. Musket & Pike This time from Rob Gibson - Fehrbellin, 1645. This 20 turn scenario uses the map and counters of Musket & Pike to recreate this battle between the the Swiss and the Prussians. This is from Phoenix issue 14. 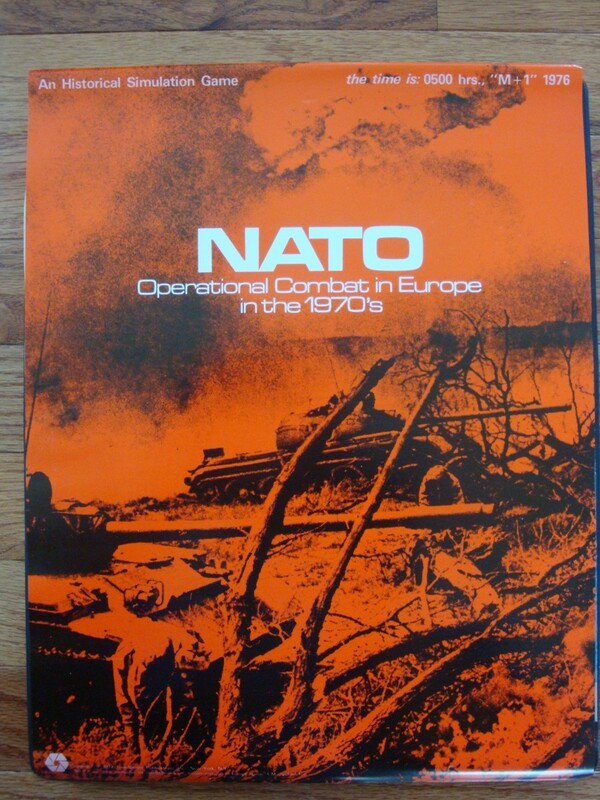 NATO A scenario and rules for NATO a surprise attack during the annual Warsaw Pack Spring Wargame exercises. By David Bright, in Moves 16, page 24. 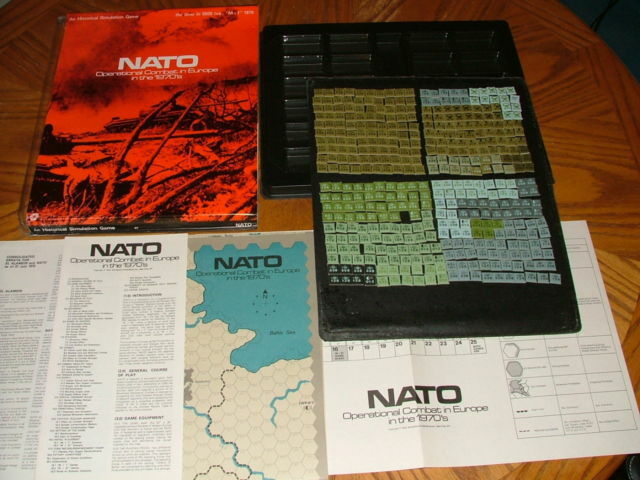 NATO This packet of 15 scenarios features two for NATO. From the scenario master Phil Kosnett! Moves 27, page 7. 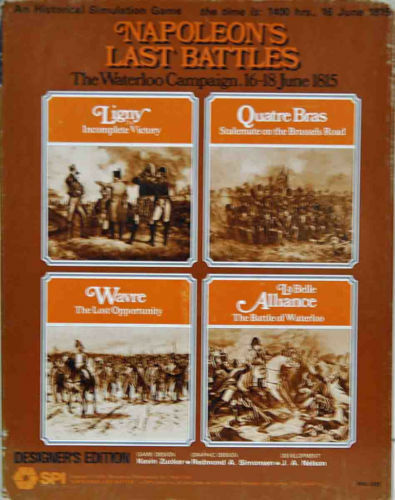 Napoleon's Last Battles The Napoleon's Last Battles quad gets a few variant rules and THREE new scenarios! By Christopher Perleberg, in Moves 31, page 12. 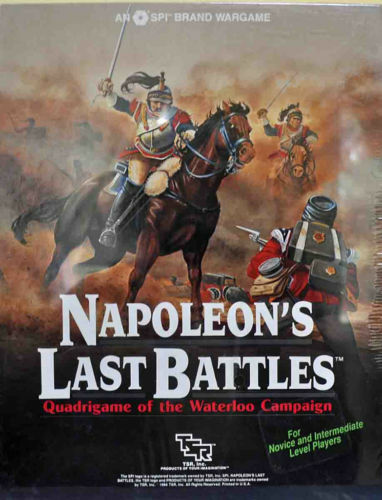 Napoleon's Last Battles Mark Brazas contends that the campaign game of Napoleon's Last Battles quad requires balancing and these are his choices to do so! Lots of rules additions! Moves 48, page 12. 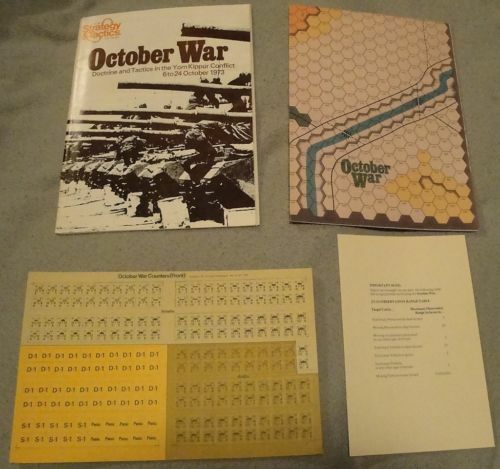 October War Mark Herman adds a few new rules and two new scenarios to this great game! Moves 33, page 19. 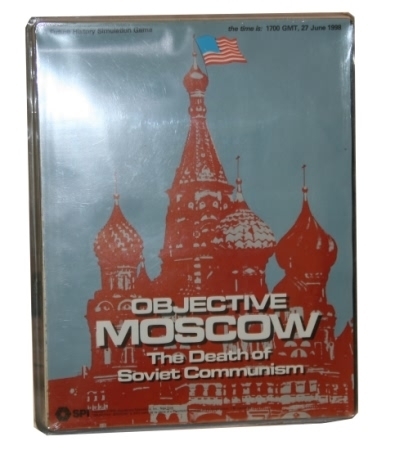 Objective Moscow Rob Gibson displays a work of genius when he uses the existing Objective Moscow map and OOB to craft a 'contemporary (1977!) scenario on "The Iranian Dilemma!" The beauty of this scenario is it is also deigned to be a fair introduction to the game system! From The Phoenix issue 25. Operation Olympic Some setup options and analysis from R. N. Webb, from Footnotes, Moves 21. Operation Olympic A PBM system developed by Eric Kyllo for Operation Olympic! From Outposts 7! 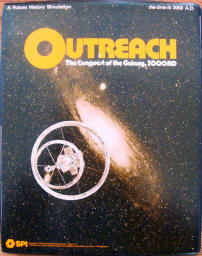 Outreach The Reconquest: A new solo adventure for SPI's Outreach from the pen of J. Beardsworth, from Phoenix issue 13. 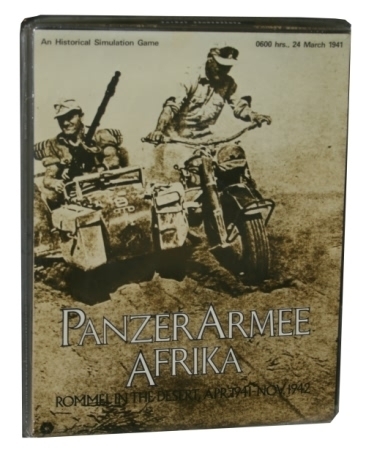 Panzer Armee Afrika A two move scenario for PAA called Lybia 1940, from Phil Kosnett. Footnotes, Moves 31. 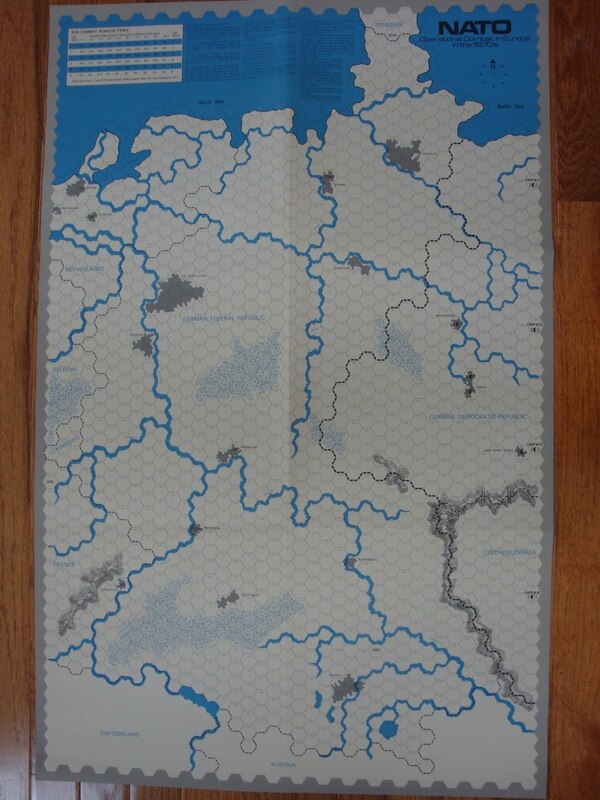 Panzergruppe Guderian A proposed 'Minsk Pocket' scenario from John D. Beardsworth, via Phoenix issue 15! Patrol! This packet of 15 scenarios has two for Patrol! From the scenario master Phil Kosnett! Moves 27, page 7. 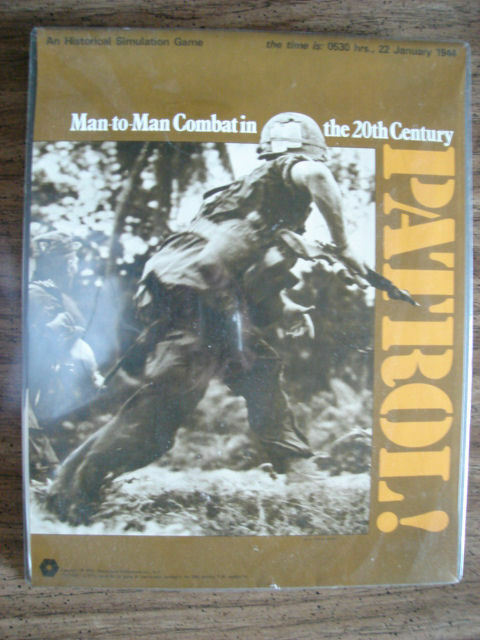 Patrol! Steven Dickes adds an important touch to Patrol! - Campaign rules to push for Preservation of forces! From Moves 34, page 24. 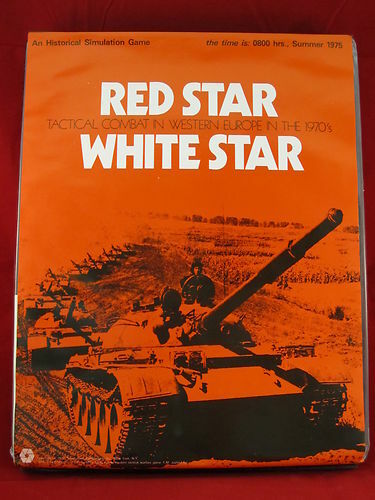 Red Star White Star Updates to the original scenarios for the first edition Red Star White Star. Plus lots of optional rules and errata updates to rules since the Moves 9 errata. Abe Fox does the honors. Moves 12, page 4. Renaissance of Infantry A.A. Nofi uses the existing counter set in Renaissance of Infantry to create a new scenario based on the battle between French and Spanish forces in 1522. The article uses the Tac 14 map, and also shows what could be done with a map based on the actual battlefield. Moves 3, page 12. Rescue from the Hive Optional Solitaire rules for this SF gem! Moves 56. 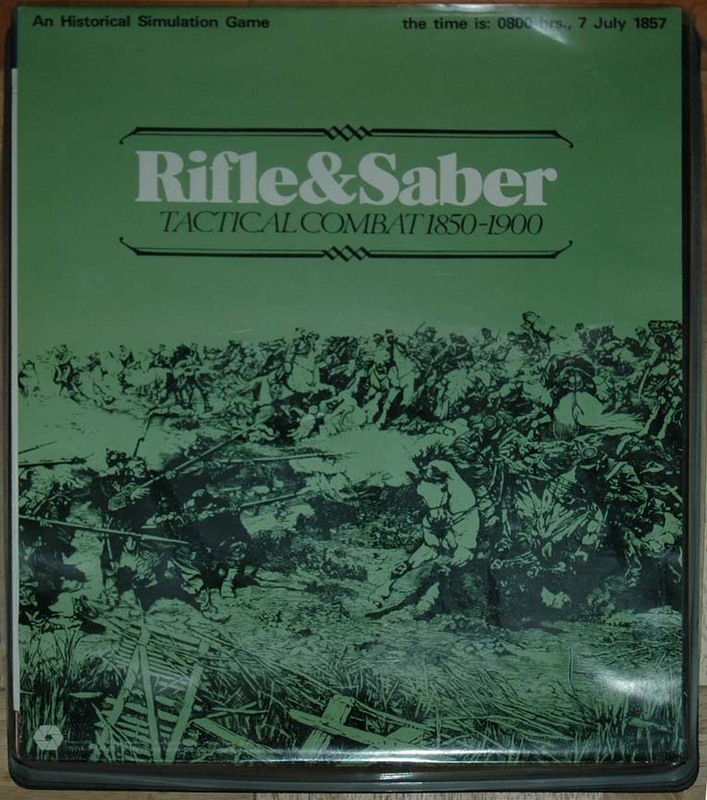 Rifle & Saber Four scenarios for the Boer War using the Rifle & Saber system. Nicely done by Phillip Gray, in Moves 14, page 27. Rifle & Saber Rob Gibson returns with a scenario for Koniggratz Scenarios using the Rifle & Saber system. From Phoenix 8. 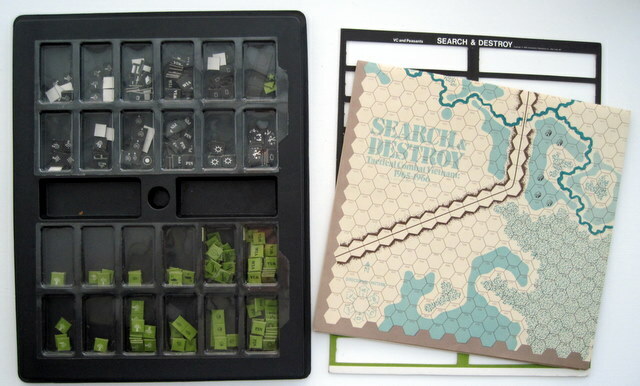 Search & Destroy This packet of 15 scenarios offers three for Search & Destroy. From the scenario master Phil Kosnett! Moves 27, page 7. Seelowe A new scenario for Seelowe. By Andrew McGee, Phoenix, issue 11. 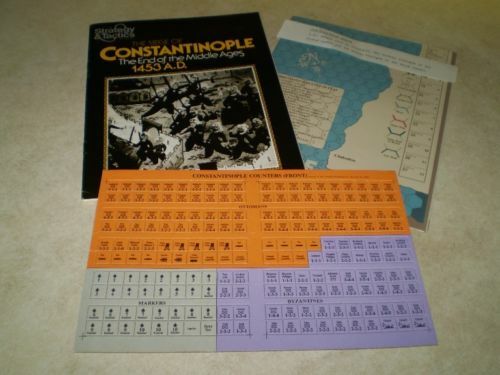 Siege of Constantinople The missing naval rules for the Siege of Constantinople are printed in Moves 37. Sniper! 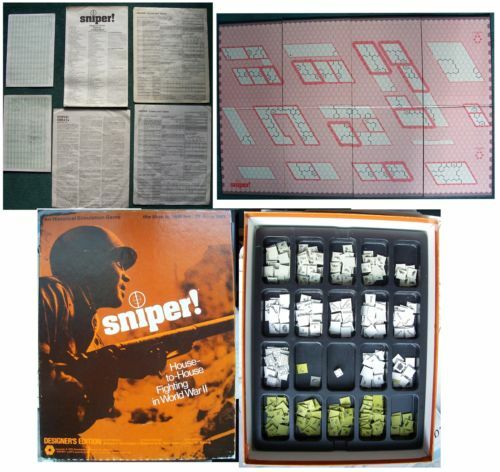 Hank Zucker recounts rules/scenario for Sniper! Free-For-All variant. From Moves 11, Footnotes column. 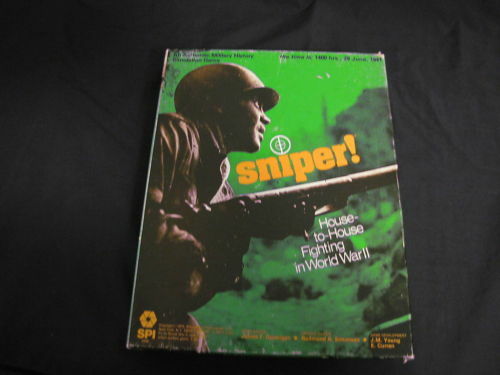 Sniper! 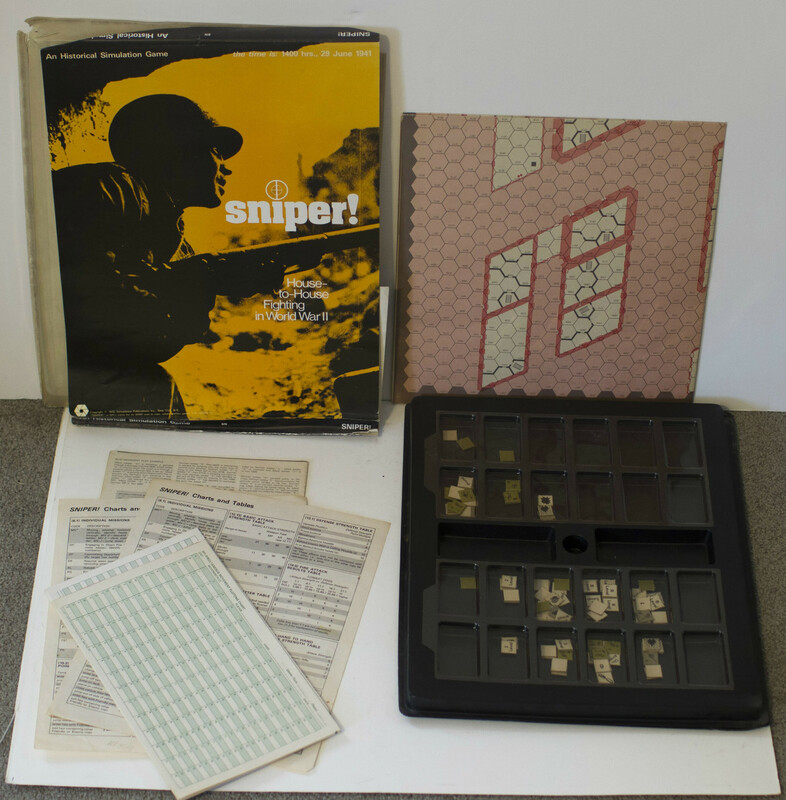 This packet of 15 scenarios offers one scenario for Sniper! From the scenario master Phil Kosnett! Moves 27, page 7. Soldiers "Prelude to the Marne" a Soldiers scenario to recall the battle of Varreddes, from September 5, 1914. Originally from Phoenix 25! Soldiers M. Barres-Barker creates a mini campaign for the Battle Ypres using Soldiers to create three 12 turn game days covering the action on the ground Oct 23-25, 1914. He does it all in less than a full page in Phoenix 31, page 28. Brilliant. 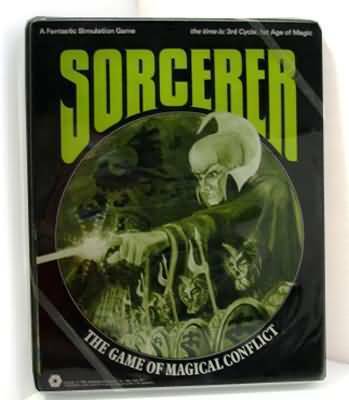 Sorcerer Six solitaire scenarios for Sorcerer, from the talented Arnold Hendricks! From Moves 25, page 14. 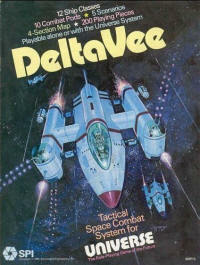 StarForce StarForce Scenario 100, by Arnold Hendrick. Moves 21, page 11. And the link to the missing table is here. 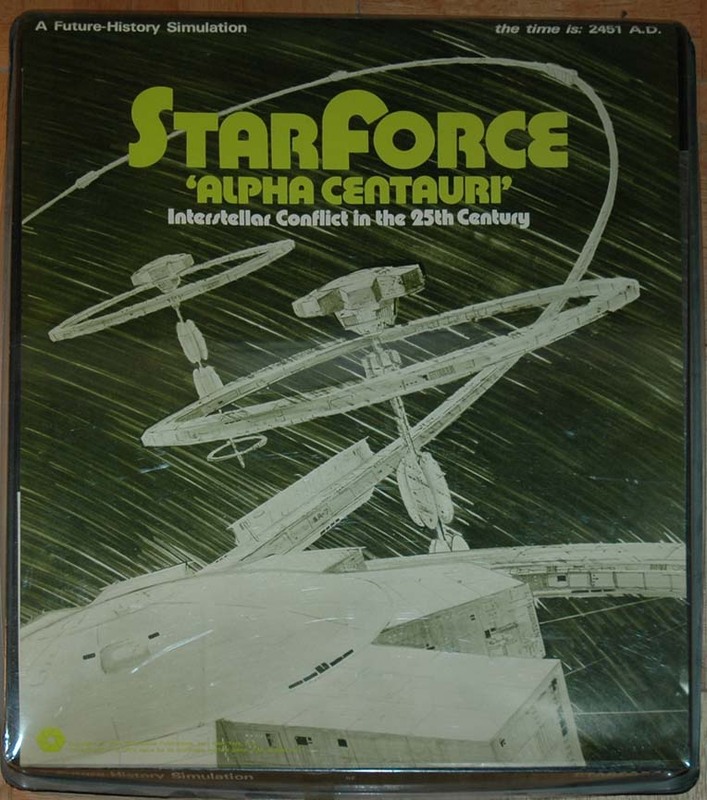 StarForce Phil Kosnett takes us beyond 3000 with his scenarios and future history for StarForce. Moves 21, page 16. 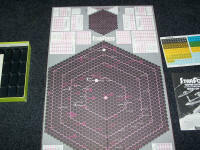 StarForce Two additional StarForce scenarios from Richard Outerbridge in Moves 21 Footnotes column. One of these is a solitaire scenario. 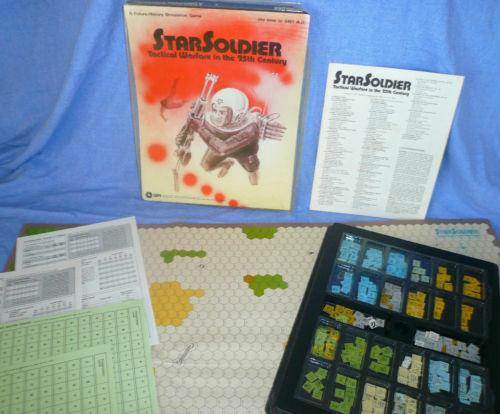 StarSoldier A special Scenario for StarSoldier! (See end of the article) Moves 32. Tank! 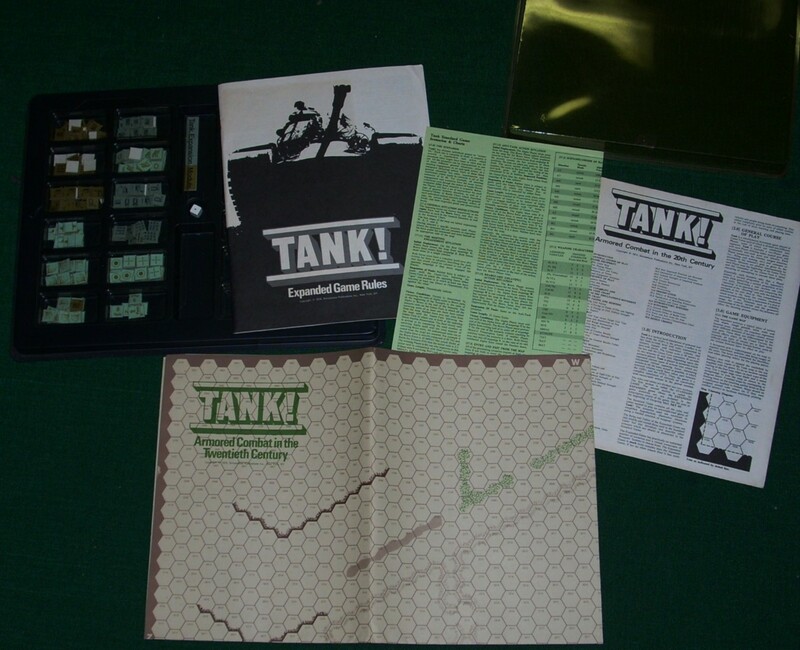 An inventive solo scenario and rules for Tank! from Richard Mataka in Moves 19 Footnotes column. 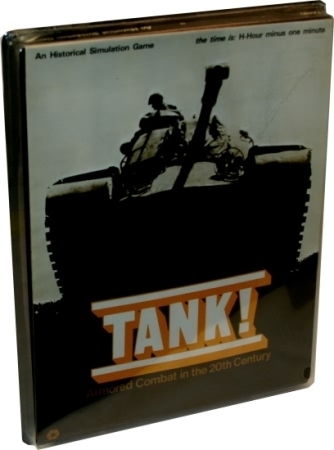 Tank! This packet of 15 scenarios has one outing for Tank! From the scenario master Phil Kosnett! Moves 27, page 7. 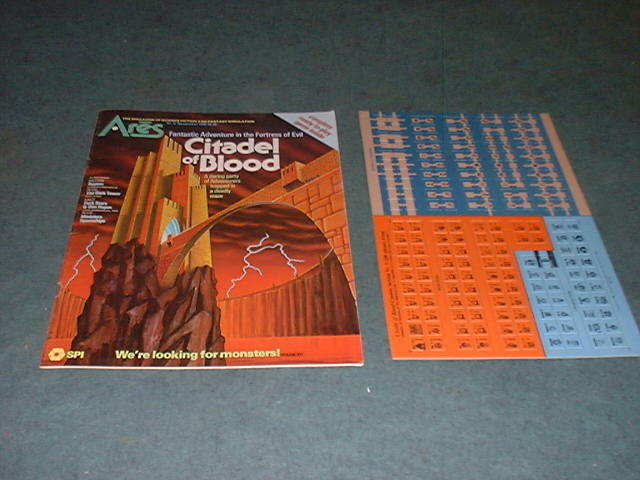 Tower of Azann A solitaire adventure from SPI's hard to find 'Adventure Gaming' handout of 1981. You create your adventurer, choose your spells, and venture into the Tower of Azann, in search of fame, fortune - and if you are not careful - an early death! 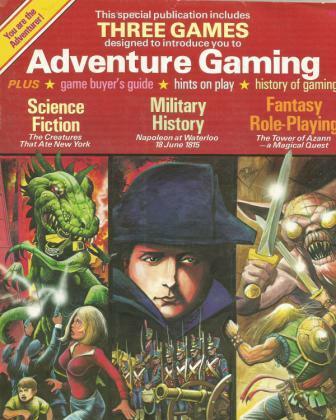 Their new 'Adventure Paragraphs' gaming concept is on display in this game. 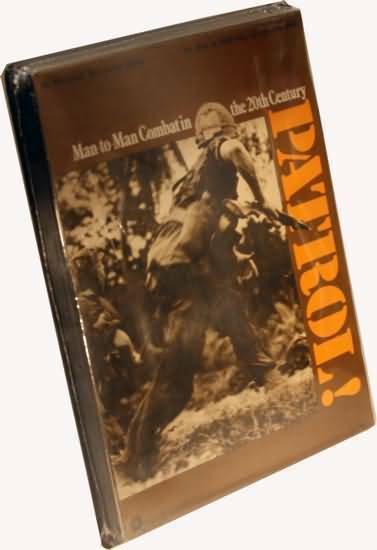 Designed by Justin Leites, Bob Ryer, Gerard C. Klug, and Redmond Simonsen. 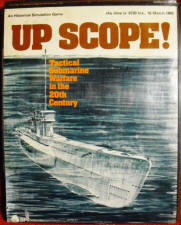 Up Scope! A six scenario campaign game for Up Scope! from the pen of M. C. Dean, via the pages of UK SPI's Phoenix magazine, issue 21! 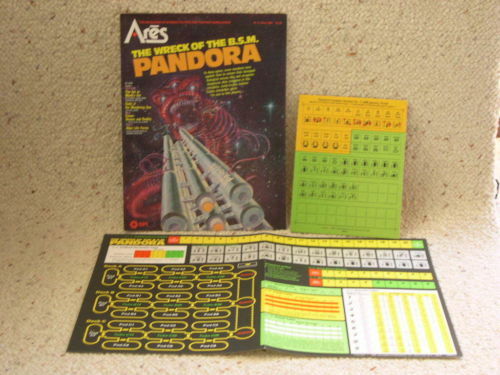 Voyage of the BSM Pandora This set of rules links the games Wreck of the BSM Pandora to Voyage of the BSM Pandora. 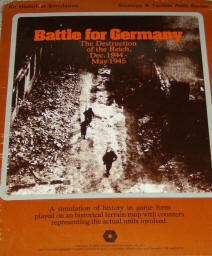 Wagram Jim Hind published this version of the battle of Aspern -Essling in the British SimPub magazine Phoenix. It is the earlier battle at Wagram that took place on the same battlefield a few weeks before the battle in the same location. Phoenix 1, page 6. 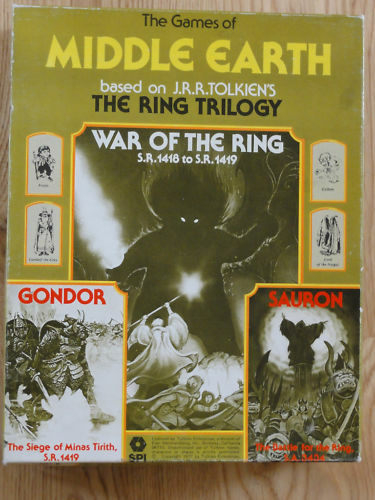 War of the Ring Three player rules for War of the Ring! Moves 37. Wreck of the BSM Pandora This set of rules links the games Wreck of the BSM Pandora to Voyage of the BSM Pandora. 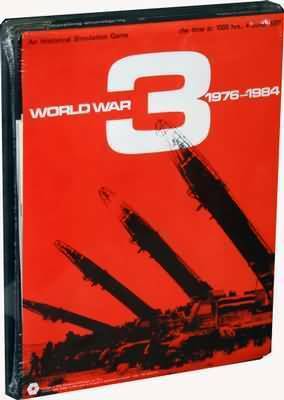 World War Three A lively scenario for the 1962 Cuban Missile Crisis! 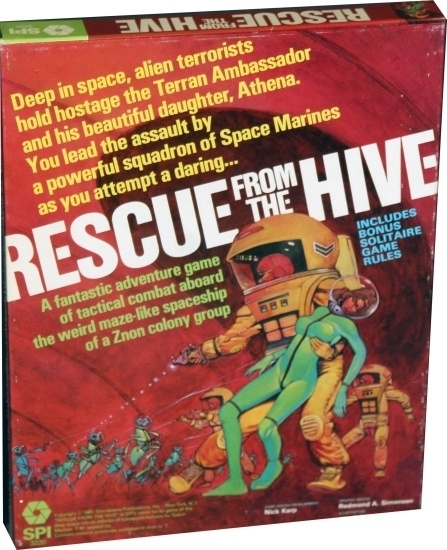 With the scenario and extra rules. From Moves 19, page 22, by Eric F. Griffiths. World War Three The Gilhams translate the initial situation in Invasion America to a World War 3 scenario! 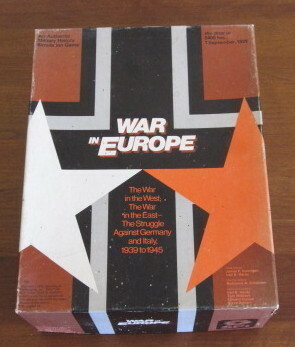 (using the WW3 map and counters.) From Phoenix issue 7. 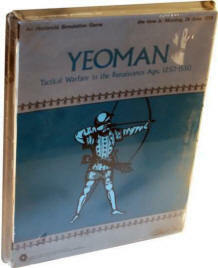 Yeoman Three scenarios for PRESTAGS Yeoman series. The clashes are Morlaix 1342, Auberoche 1345, and Tewkesbury 1471. First two are French and English, while the last is York vs Lancaster. From Phoenix issue 6.